Gutters may appear to be a small component to a complete house, but its’ role is very significant to maintaining upkeep on your home. Rain, snow, wind and other natural elements cannot be predicted nor prevented. If you don’t have the right kind of gutters your home may be susceptible to significant damage like flooding, erosion, paint damage and mildew. These issues can be very expensive to fix. In order to ensure your home is protected, you must ensure that you have a secure and functional gutter system. 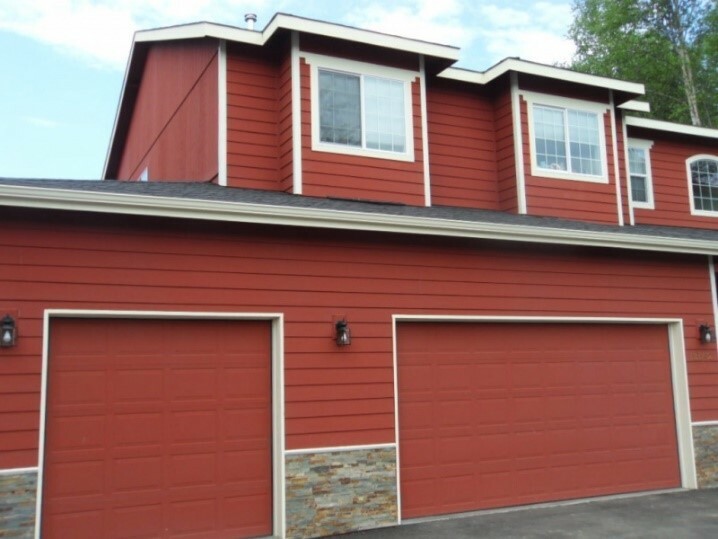 Gutters are not one size fits all, Alaska Premier Gutters, understands that not all homes were created equally. Through extensive experience providing full-service gutter installation, we have learned what system works best for this area and weather. Because of Alaska’s harsh winter climate, it can have a major impact on your home’s gutter system. The industry standard for most gutters is .027 gauge. In areas that experience higher amounts of rain, wind and snow .032 gutters are a necessary addition to your home. This size gutter is ideal for Alaska because of the snowy climate. Most companies offer the .027 gauge as the standard gutter system. Durability– a .032 gutter will provide better protection against the elements and last much longer than a .027 gauge. Security– When a force of nature destroys your gutter system it can cause a number of problems for your home like flooding, foundation damage or roof leakage. A .032 gauge system is like a protective armor for your home against the elements. Because we understand how important your home is, at Alaska Premier Gutters we only use the .032 gauge system. Contact us today to see how we can improve the quality and safety of your home!